In the permissions panel, when you select one of your protected documents, you can assign permissions to either a user or a group of users. If the user is not found by Prot-On you can input their email address and send them an invitation directly from here. 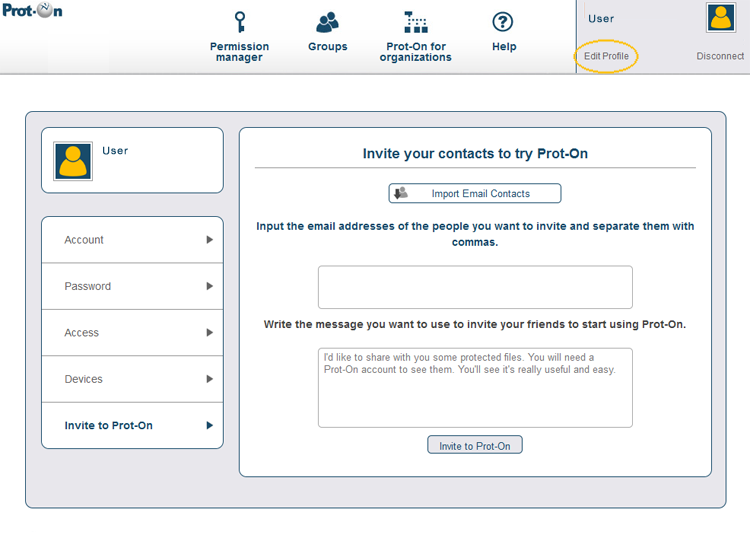 Or, within the option “Edit profile” in the permission panel on the left hand menu you will find the option “Invite to Prot-On”, from here you can invite contacts one at a time or import contacts from your email account.